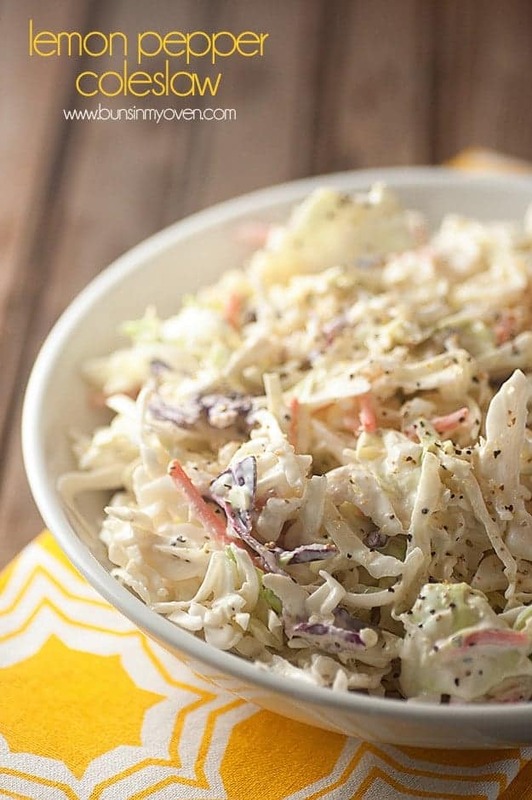 Creamy and tangy lemon pepper coleslaw is the perfect side dish to any summer gathering! Big thanks to McCormick and One2One Network for sponsoring this blog post. Ever wonder what it’s like to be a food blogger? Well, I’ve been working on this day in the life blog post for a year now, but I never finish out the day and then I start over a month later and never finish out that day and omg, it never ends. So, let me briefly tell you what it’s like. You wake up. You think about food. You cook food. You photograph food. You write about food. You think about food some more. There are lots of other not as fun things involved, like social media promotion, tech work, managing ads, accounting (oh, the accounting) and all of that not so glamorous business-y stuff one must do to have a business. But the food! There is a lot of thinking about and working with food. Since food is always on my mind, I LOVE getting a break from thinking up a menu in the evening. Everyone needs a break every now and then! Enter McCormick FlavorPrint. 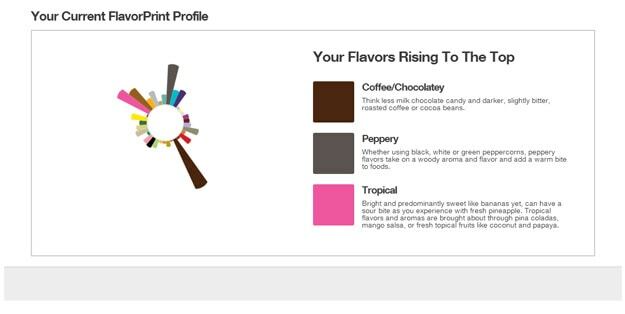 You basically get to play this little game on the FlavorPrint website where you click on easy answer to food questions and then it builds you a flavor profile. So, when you’re wondering what to make for dinner, you have the flavor profile full of recipes that you should love! 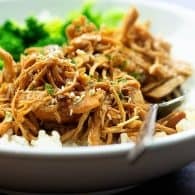 The recommendations also consider foods you might be trying to avoid, specific dietary preferences, how you like to cook and ingredients you typically have in your cabinets. And since FlavorPrint was created by the folks at McCormick, the brand that I use to flavor most of my food (love their seasonings and spices! ), you can trust the site to get it right! My flavor profile, for example, says that I’m loving chocolatey/coffee flavors, peppery flavors, and tropical flavors right now. I totally would not have described myself as liking tropical flavors, but when I read that description and look at the recipes recommended for me, I totally do like tropical flavors! I decided to test the site out by making three dishes. I took it a little easy on the first go ’round and made their On The Go Sloppy Joe recipe. 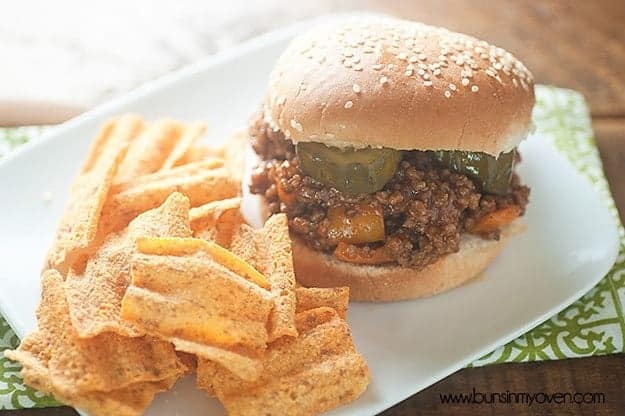 I love sloppy joes and figured this would be a win for sure and it totally was! I topped mine with thick sliced dill refrigerator pickles. You can find my recipe for those pickles right here, just slice them into coins instead of spears! 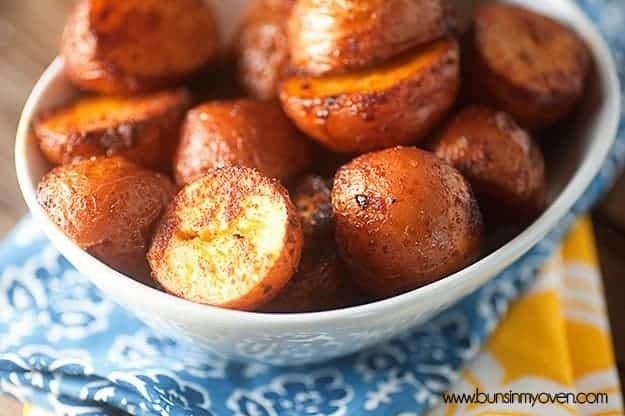 I checked for new recipes after giving that a thumbs up and decided to try the Barbecue Roasted Potatoes. Mostly I was trying this recipe because I thought it sounded not very good and I had potatoes on hand. I mean, who puts barbecue on potatoes? We usually eat ours mashed or baked with cheese and butter. Or roasted with salt and pepper. Big, bold flavors like barbecue just don’t happen with our potatoes and it didn’t sound very appetizing to me, but I wanted to see how FlavorPrint would do! You guys. You guyyyyyyys. So good. I’m sharing the recipe next week, because they are an absolute new favorite recipe of mine. You don’t want to miss it! So, I thumbed those up and checked for another recipe recommendation from FlavorPrint. Once again, I decided to live a little and see what would happen if I chose something that didn’t actually sound very good, but that my FlavorPrint recommended. Lemon Pepper Cole Slaw. Once again, it was a huge winner and you’ll find the recipe at the bottom of this post. I didn’t think the lemon pepper flavor would work with the sweet, rich creaminess of the mayo, but it cut the richness and brightened the flavors beautifully. We really enjoyed this as a side dish and it was perfect for a quick summer meal. It took less than 5 minutes to throw together and I only let it set in the fridge for 30 minutes (rather than the 2 hours the recipe called for) and it was amazing. 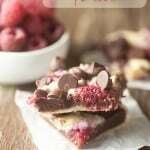 I’m completely sold on FlavorPrint and think it’s such a great resource for people who want to try a new recipe or flavor and are a little worried about choosing something new to them. Hop on over to FlavorPrint, create your profile (it’s super easy and totally free! ), and see what new flavors might happen in your dinner time routine. I think you’ll love this! This recipe comes together super quick. 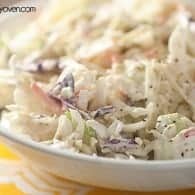 The recipe says to let the cole slaw set in the fridge for 2 hours before serving, but even at 30 minute, this is full of great flavor! 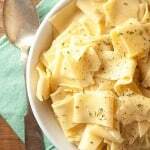 In a large bowl, combine the mayonnaise, sour cream, sugar, vinegar, and lemon pepper. Stir in the coleslaw mix to coat. AHhh, I love this lemon pepper slaw for an awesome side dish to our grilled chicken we eat every night! 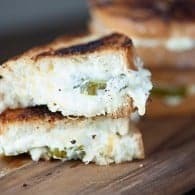 I’m not a food blogger so I need all the help I can get! 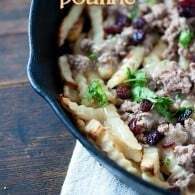 Looks super easy and I have the McCormick spice in my spice rack right now. Really like those products. This is totally my kind of slaw!! 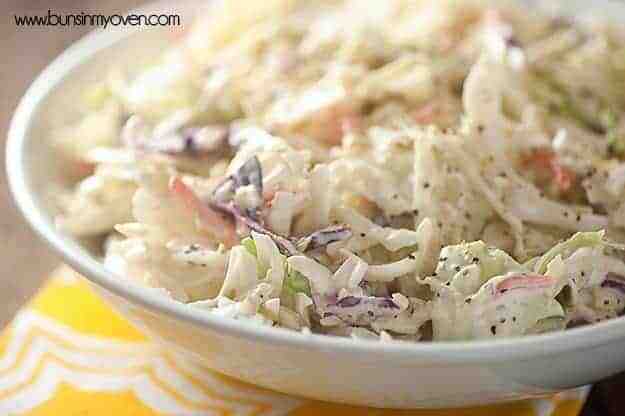 I’m not a fan of regular coleslaw, but just know I’d love this! Just filled out my FlavorPrint profile – Fun! apparently I like things that are cooling/smoky/with heat. FlavorPrint is so awesome! I am always making new slaw recipes and will have to try this one soon. Also, I can’t wait for that bbq potato recipe! FlavorPrint rocks and so do you! Can’t wait for the BBQ Potatoes! Holy YUM! 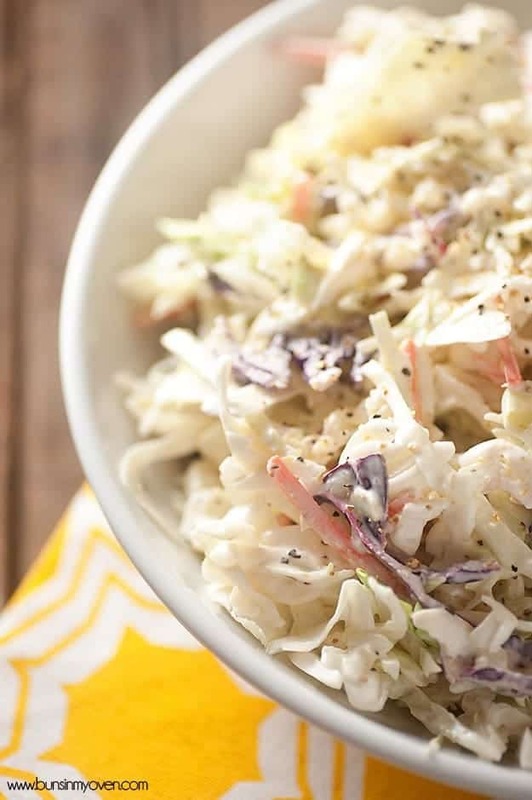 yum.. love a good slaw – definitely making this tonight! thanks for the recipe! This is totally like taking a Seventeen magazine “who’s my celebrity match” quiz, but so much better because I get to eat at the end of it! Sold. Oh, a day in the life of a food blogger. Please write that post in super extreme detail. Please make me feel better about my life, hah! This coleslaw sounds absolutely delicious! I want to make it for a barbecue this weekend! That coleslaw looks so good! And I like the idea of that website, it sounds really interesting! I’d say that 99% of my brain power is spent thinking about food. Love this slaw! I’m not usually a fan of traditional coleslaw but the lemon pepper caught my attention. Sounds delish!